Does the Tampa Bay fashion scene have your back? We’re asking for your help with creating the first ever fashion pop-up retail store in Tampa Bay. Becoming a founder of the PURE (Pop-up Retail Experience) Haus project is super easy and fabulous! All you have to do is choose to “Back This Project” and make a donation. Remember… every dollar counts and we appreciate your involvement. With your help, Tampa Bay’s first Fashion Designer Pop-Up Shop, will showcase garments in front of enthusiastic shoppers at a storefront location in September 2011. The shop will feature the region’s most talented fashion and accessories designers, and everything from couture dresses to swimsuits will be available for purchase. Time is running out – we only have until Friday, August 19th to make it happen! Help bring the first pop-up shop to Tampa Bay today! Click here to make a donation. Want to learn more on why you should get involved? Watch this message from two Tampa Bay designer favorites, Ivanka Ska and Essence Flowers! Plus, you get free stuff with every donation and there is no loss to you. Your pledge is only accepted if we make our goal. If we don’t, your credit card is never charged. If we do make our goal, you get a cool item for your pledge and get to shop some of Tampa Bay’s best designers! Read the information below to see what you’ll receive when you donate. Click here to back up PURE Haus. If you have any questions, write it in the comments box below. Thank you for being a part of Tampa Bay fashion history! 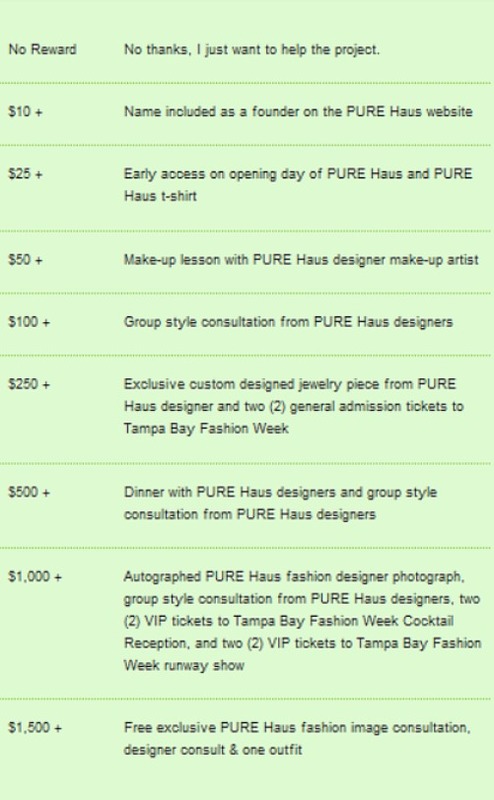 Before you know it, we’ll all be shopping PURE Haus and enjoying our backer benefits! Giving back is always in style! There is really nothing more fabulous than a generous and caring heart. 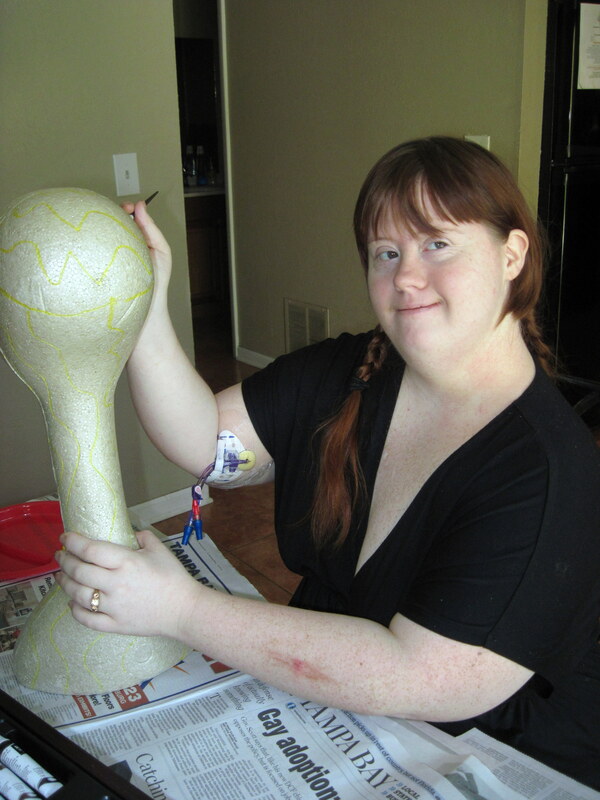 Ivanka Ska, fashion designer and featured designer participant in Fashion Week Tampa Bay (2008 & 2009), has always been active in her community. 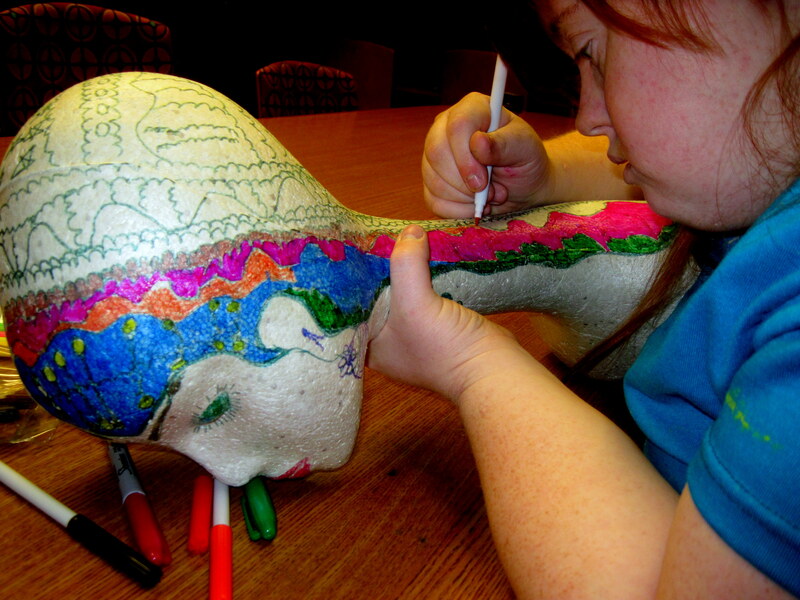 For the past two years, she has been a guest artist at Creative Clay, a non-profit organization providing local artists with developmental, physical, and/or emotional disabilities an opportunity to pursue their passion for art making. 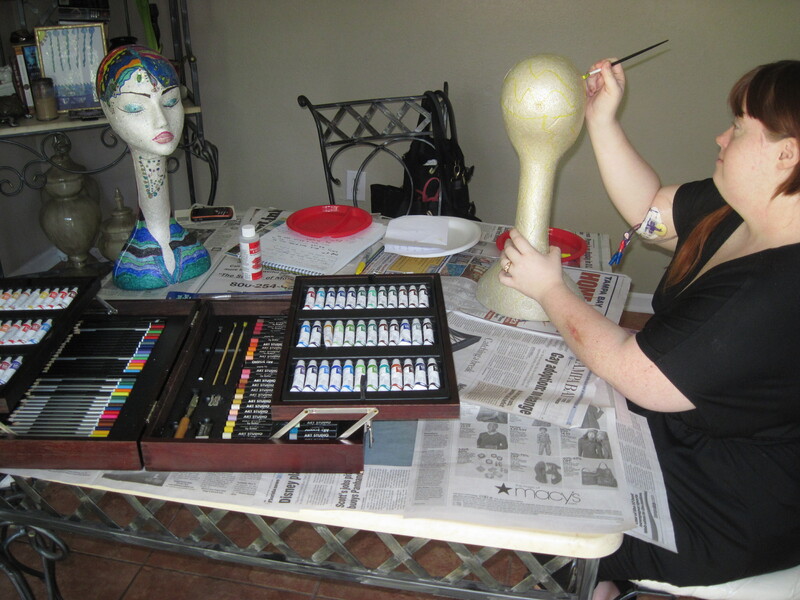 Creative Clay has a mentoring program called ArtLink, which pairs up local artists, like Ivanka, with Creative Clay member artists for a six month period. 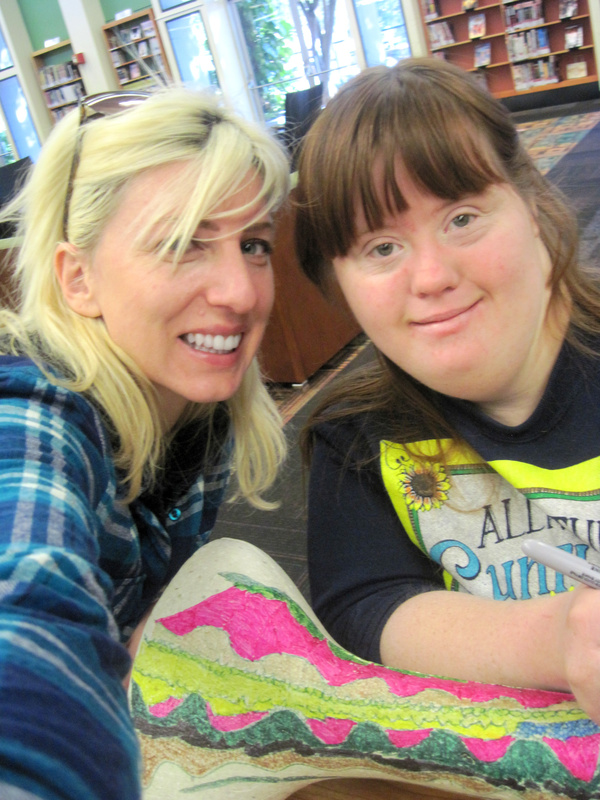 The local artist mentors, develops ongoing projects and helps their ArtLink partner create statements, resumes, a budget, the importance of networking, and community involvement. After the completion of the mentoring program, they present the final project they have been working on for six months. Witness what the power of making art and helping others can do this Saturday, July 9, 2011 at the Creative Clay ArtLink showcase. Ce sera une belle nuit! Oh yes, I feel like speaking French because it’s going to be a beautiful and elegant night this Friday! 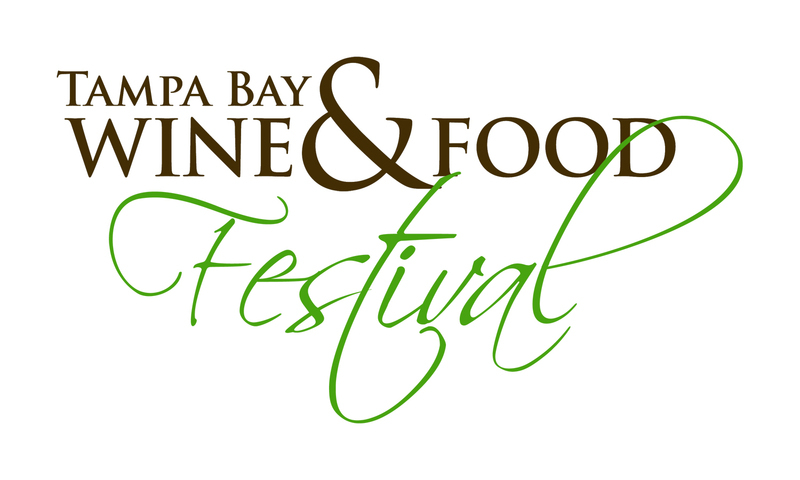 The fourth annual Tampa Bay Wine and Food festival is this weekend, May 14-15, 2010. Where else would an elegant night be held then Tampa Bay’s very own pink palace, the Don CeSar Beach Resort and Spa in St. Pete Beach. The festive weekend has many events to keep you busy: Grand Tasting and LUSH by Loews Hotels on Friday, May 14th, plus Beam’s Beach Bash and BBQ (Brighthouse Grand Tasting and Publix Apron’s Seminar) on Saturday, May 15th. LUSH by Loews Hotels will begin at 8pm. It will be a high-class glamorous and classy evening with wine, food, an auction, art and fashion by one of my favorite Tampa Bay designers, Ivanka Ska. Ivanka owns the House of Ska; she is the first to bring a fashion house to the streets of downtown St. Petersburg. She has also been featured in Fashion Week Tampa Bay 2008 and 2009. Indulge on some lovely champagne and gourmet cuisine while watching Ivanka Ska’s “De Lere” collection hit the runway. 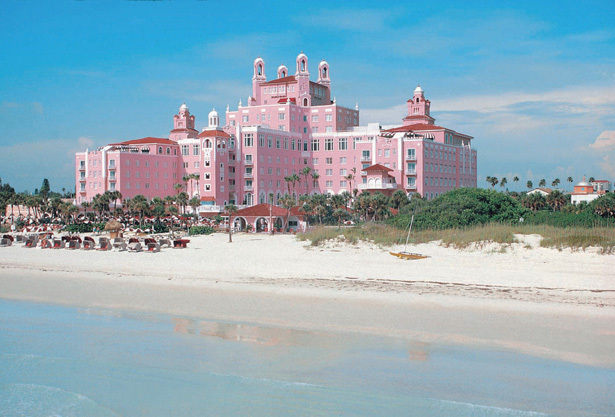 Be among beautiful fashion and people at the lovely Don CeSar Beach Resort and Spa! The ticket proceeds benefit Heartbeat International, a nonprofit organization whose mission is to save lives globally by providing cardiovascular implantable devices and treatment to the needy people of the world. 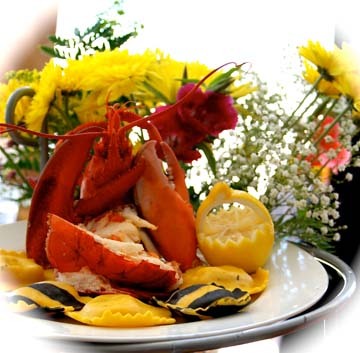 The proceeds will also benefit The Florida Restaurant & Lodging Association’s ProStart Program which provides industry training, scholarships and grant funding for interested culinary students. Feel like royalty this weekend by indulging in gorgeous fashion, champagne, wines from around the world and gourmet cuisine. Bon appétit! Click here for tickets and more information!